LAKE VIEWS AND STREAM FRONTAGE!!! Extremely high quality and and well-designed open floor plan, new construction home being built in Sweetgrass by Isabell Builders. 75% complete, still time to pick out finishes. One level living. The home has a stunning curb appeal with a mix of stone and shake siding complimented by front and back porches. The interior flows nicely throughout the home and is very spacious with the Great Room's vaulted ceilings and overall open floor plan. The home site features a creek in back yard that will be landscaped to have a gorgeous, audible waterfall to enjoy while sitting from the homes back porches. This is a fantastic location in Blowing Rock. 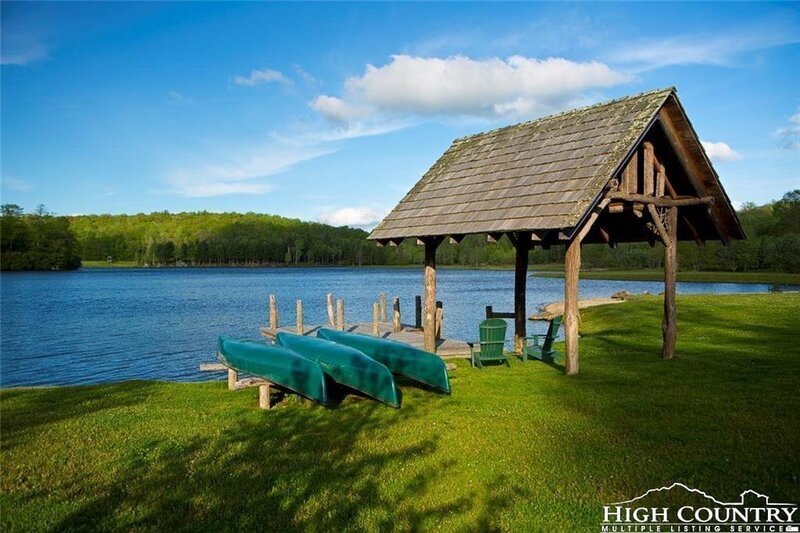 The community features trails, trout stream, 22 acre lake, lake house, fitness center, beach, and trout fishing. Finished room over really spacious two car garage.